Learn more about Qatar Petrochemical Company (QAPCO) Q.P.J.S.C. Our main facilities consist of an Ethylene plant (cracker) with a production capacity of 840 kilo tonnes per annum (ktpa), three LDPE plants with a total combined production capacity of over 780 ktpa and a Sulfur plant with a production capacity of 70 ktpa. 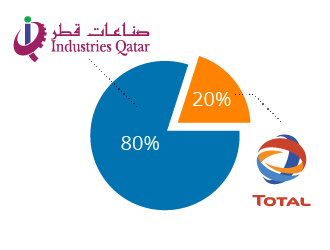 Our shareholders are Industries Qatar (80%) and Total (20%). 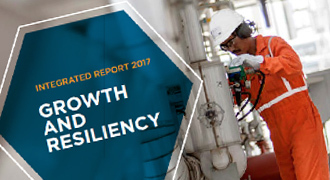 View our latest safety, health, environment and financial performance. CSR has been one integral part of QAPCO's policy ever since its foundation. Browse through QAPCO's latest press releases and publications. Qatofin Company Limited was established in 2005 and is a joint venture between QAPCO (63%), Total (36%) and Qatar Petroleum (1%). The Qatofin derivative plant (LLDPE) is located in Mesaieed Industrial City and is operated by QAPCO. Qatofin produces linear low-density polyethylene (LLDPE), mainly for export, and has a production capacity of more than 570 ktpa. Qatar Vinyl Company (QVC) was established in 1997 as a limited Qatari shareholding company. The company’s shareholders are Mesaieed Petrochemical Holding Company (55.2%), QAPCO (31.9%) and Qatar Petroleum (12.9%). QVC produces 370 ktpa of caustic soda, 180 ktpa of ethylene dichloride (EDC), and 355 ktpa of vinyl chloride monomer (VCM). Qatar Plastic Products Company W.L.L. is one of the biggest downstream companies in Qatar developing and manufacturing flexible packaging using polyethylene resins. 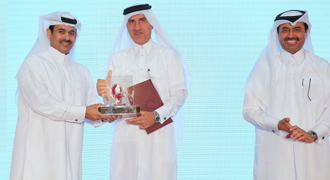 Located at Mesaieed, QPPC is owned by three shareholders : QAPCO, Qatar Industrial Manufacturing Company (QIMCO) and Stefano Ferretti, each holding one-third share in the company. Ras Laffan Olefins Company Ltd (RLOC) is a Qatari company, 53.31 percent-owned by Q-Chem II and 45.69 percent-owned by Qatofin and Qatar Petroleum 1 percent. The ethylene produced by RLOC is supplied through a 133 km pipeline to the Qatofin and Q-Chem II derivative plants located in Messaieed. RLOC has an ethylene production capacity of more than 1,400 ktpa.